Republican Harry Arora, who is challenging Jim Himes, with his family. He said he thought about running for Congress for a long time. 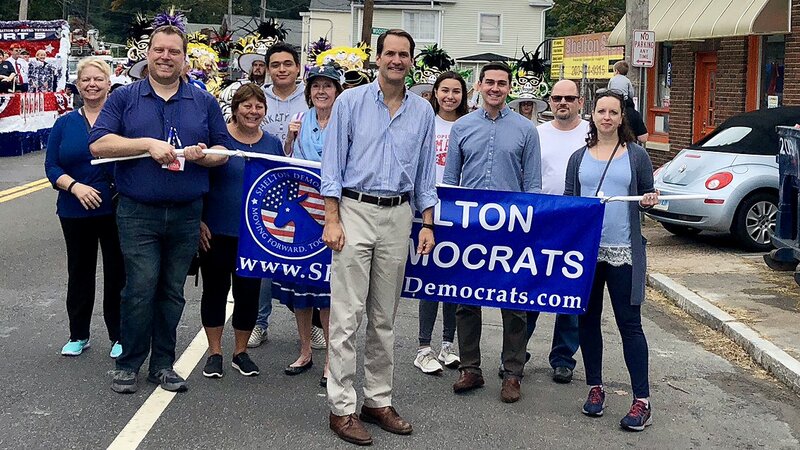 A recent battle with kidney cancer and concerns about what he views as the weaknesses in Connecticut’s economy — including in the 4th District, which is located in Fairfield County — prompted him to declare his candidacy last year two days before Christmas. Like Himes, who was once a Goldman Sachs executive, Arora comes from the financial world. A graduate of the University of Texas at Austin who earned an MPA at Harvard, Arora is a partner in Northlander Commodity Advisors, a London-based firm that specializes in energy trading. In 2006 he founded his own energy fund, ARCIM Advisors. To Arora, Himes is a do-nothing congressman who needs to be replaced by someone with “deep ideas” and ingenuity. “If you go with the facts, people listen,” Arora said. However, he admitted “perhaps I am very rosy” in thinking members of Congress, now deeply divided by partisanship, can be won over by good ideas. “The district seems uniquely bad for Republicans in a cycle like this – high income, high education, and hostile to the president,” said Kyle Kondik of the University of Virginia Center for Politics. Yet Arora’s background, the sophistication of his campaign – Arora is running a television commercial, Himes as yet has not – and the willingness to self-fund his campaign makes the Republican “a credible candidate,” said University of Connecticut political science professor Ron Schurin. 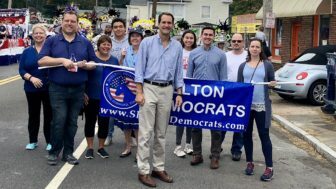 A leader of the centrist New Democrat Coalition, Himes said a Democratic takeover of the U.S. House – which would happen if the party flips at least 23 seats – would also open the door to “some deal making” with Republicans and the White House. More federal funding for transportation is one of the areas in which he’d like to find common ground. “It’s like saying you are going to live a long life eating candy and junk food – it’s dishonest,” Himes said. “GOP: 28 months investigating Clinton? We’ve barely scratched the surface! Although Himes is running against Trump, he’s also defending himself against Arora. He said voters don’t really know who Arora is yet, and when they do, they will be disappointed. He derided Himes as a “major in Latin American studies,” in college. Besides his MPA, Arora has an undergraduate engineering degree. Himes, a Harvard graduate, earned that Latin American studies degreee as a Rhodes Scholar and became a banker in Latin America for Goldman Sachs. He was born in Lima, Peru to American parents, moving to the United States after his parents separated. Himes quit Wall Street to work for a nonprofit that helped low-income people procure housing. He began his political career as a member of the Greenwich Board of Estimate and Taxation. Besides serving on the House intelligence panel, Himes sits on the House Financial Services Committee and is often the “go to” guy when his colleagues need help understanding legislation that pertains to financial matters. Himes split from most House Democrats in sponsoring and supporting bills he said “reform” the Dodd-Frank law, which imposed new regulations on banks and financial institutions after the 2008 Wall Street crash. Critics say Himes helped weaken the law, but the lawmaker says the changes are needed and that he strongly opposes an “across the board” rollback of Dodd-Frank, as some Republicans seek. A flashpoint in the Himes-Arora race involved candidate debates. Arora asked Himes to debate him 10 times because Himes managed to get Shays to agree to that many debates. But Himes agreed to only three — on Oct. 21, Oct. 25 and Oct. 29.